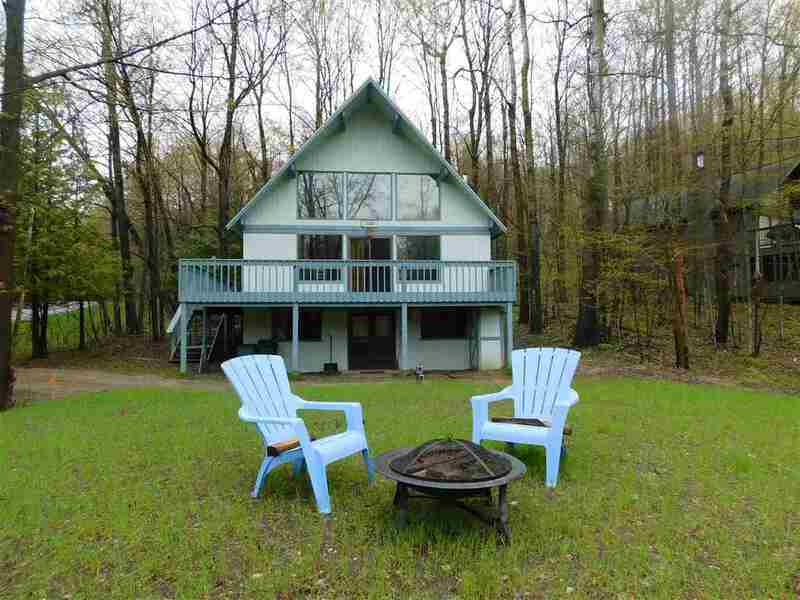 4 Bed, 2.5 bath Hidden Hamlet Chalet in private wooded setting. Vacation or year~around home next to ski slopes, snowmobile trails and golf courses. Constructed of Red Oregon Cedar, both inside and out, with large decking and hot tub for outdoor pleasure. Open floor plan with vaulted ceiling and gas fireplace in the great room. Lower level walkout provides additional family room, half bath, sauna and an extra room for office/exercise or guests..